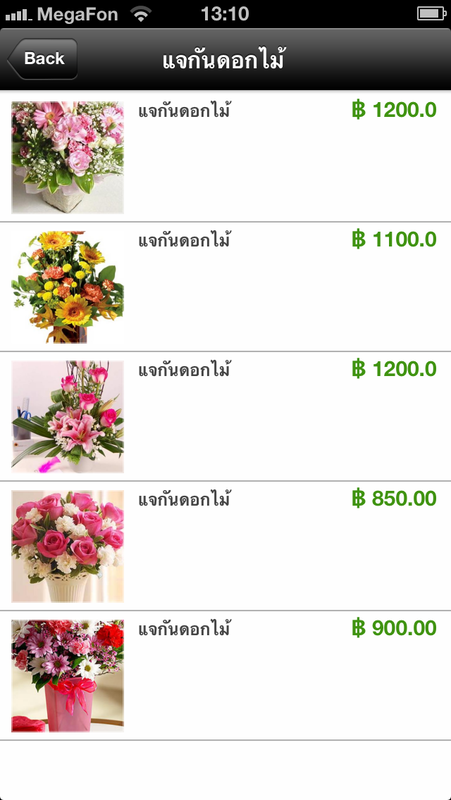 You can create mobile commerce app for flower shop very easily. This is a great way to bring your greatest creations to your customers with just a few simple clicks if you are a merchant from amazon vendor central. We’ve highlighted the best flower shop mobile commerce apps that were created in the past for amazon vendor central, but now it’s time to dive deeper. 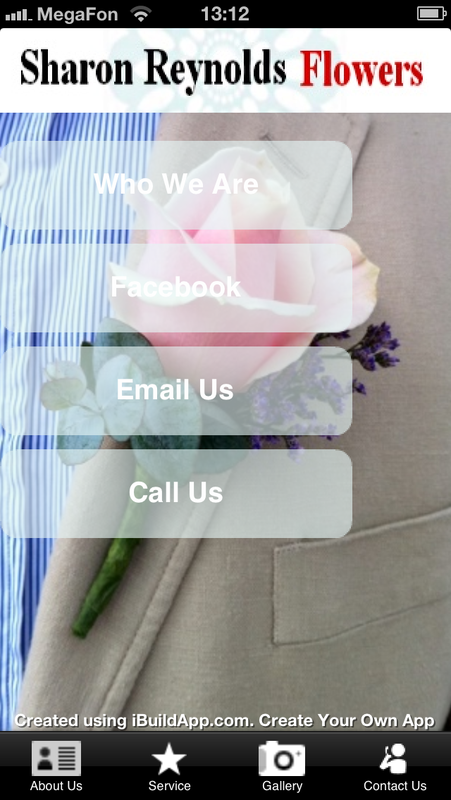 We want to push more people through your doors with your own mobile app, and that all starts with actually selling your flowers through a mobile app. 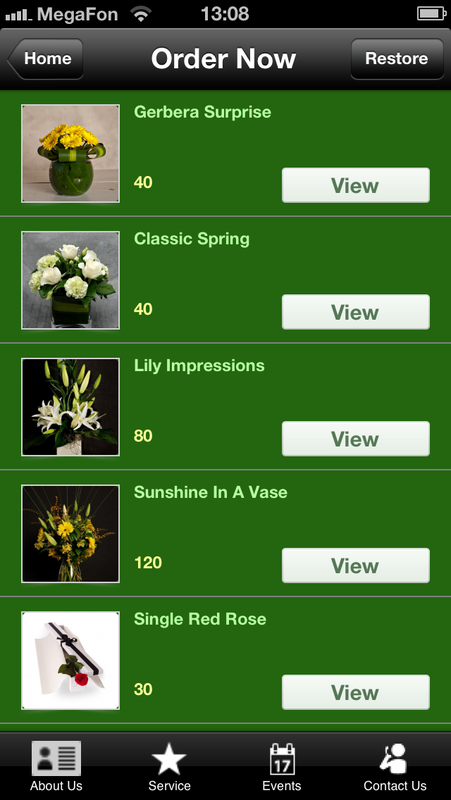 Mobile app designs for flower shops are only useful if you provide pictures of your flowers and a quick button for people to purchase an arrangement. Let’s take a look at some great created mobile app designs for flower shops in terms of mobile commerce and pushing your product to people’s phones. 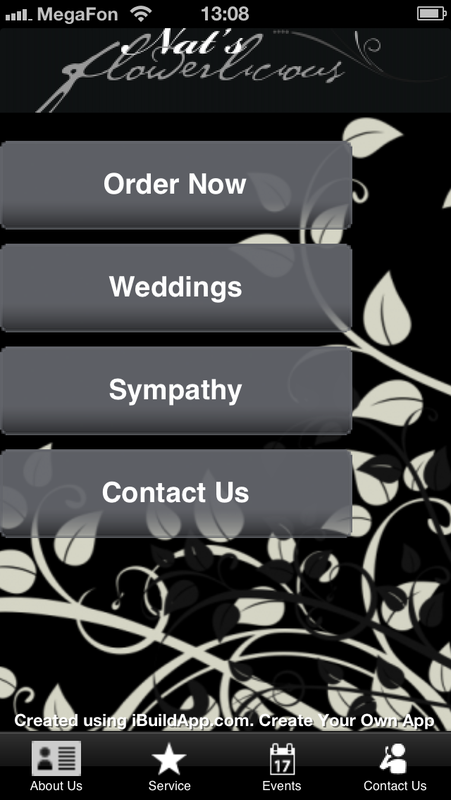 This mobile app for flower shop has it all. 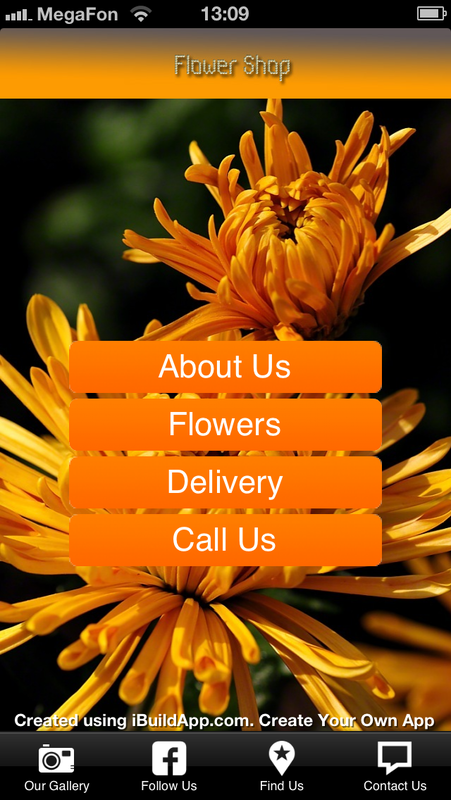 The first page includes great branding so that the customers know they are looking at flower shop mobile app. It also includes a purchase link as the first option on the homepage. 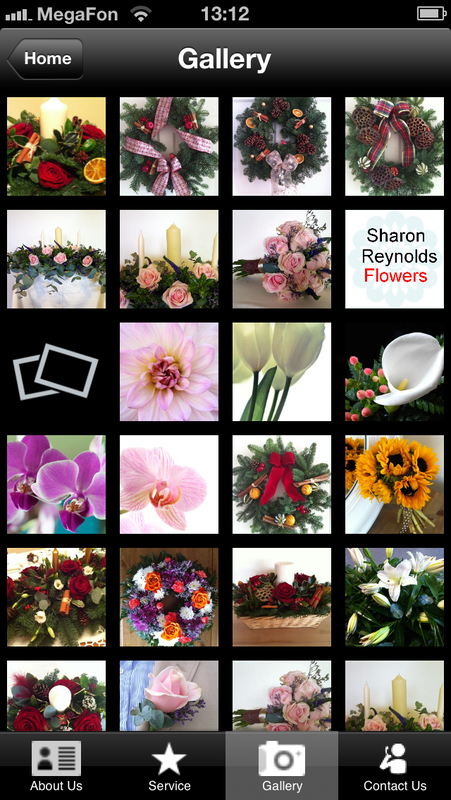 When you navigate to the mobile commerce pages of your shop you start to notice that the flowers are showcased with nice photos and they each have a price and description to educate people on what the flowers are best used for. This mobile commerce app for Flower Shop gets straight to the point by telling people what they do and including a wonderful image of a yellow flower for branding purposes. 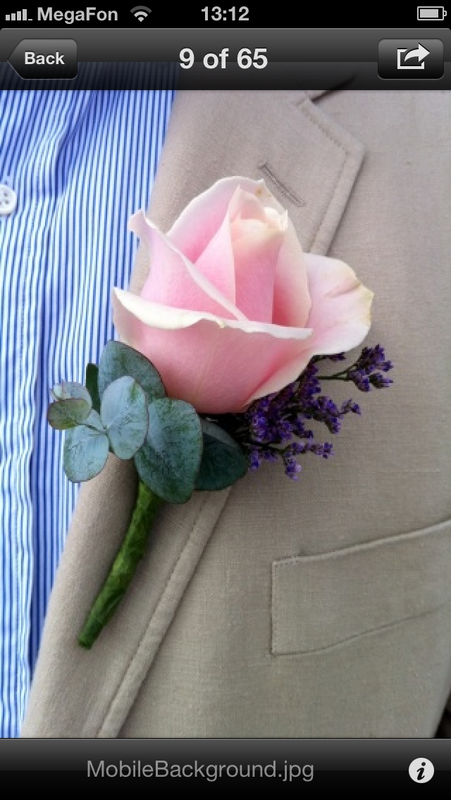 The commerce page is the second button on the home screen, making it easy for people to grab that last minute bouquet. 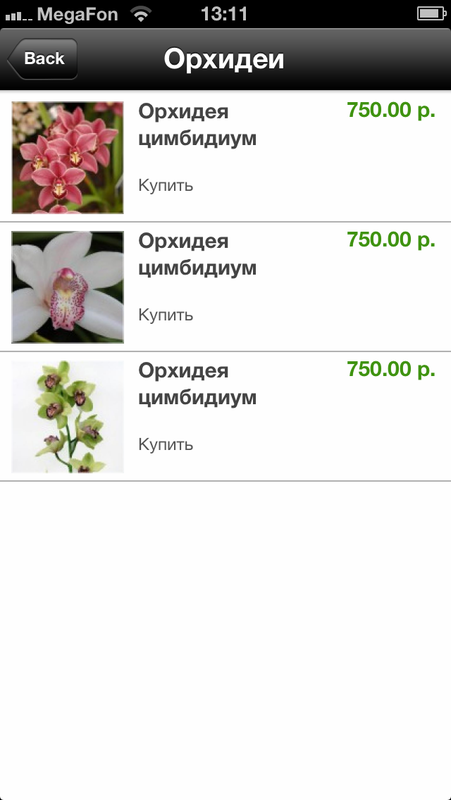 This is also a great example on how iBuildApp allows you to modify the language on your mobile app designs for flower shops. 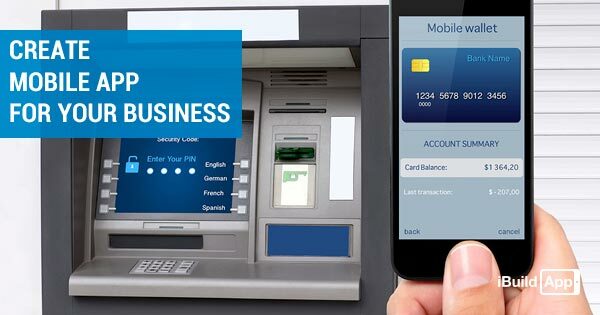 Not to mention, this approach how to create mobile commerce app for a flower shop offers a tab that leads customers directly to the flower shop location. It’s not uncommon for someone to be rushing home after work to grab flowers for a loved one. Give them this power in their pocket. They can check prices and options on the mobile app and drive over within a few minutes. 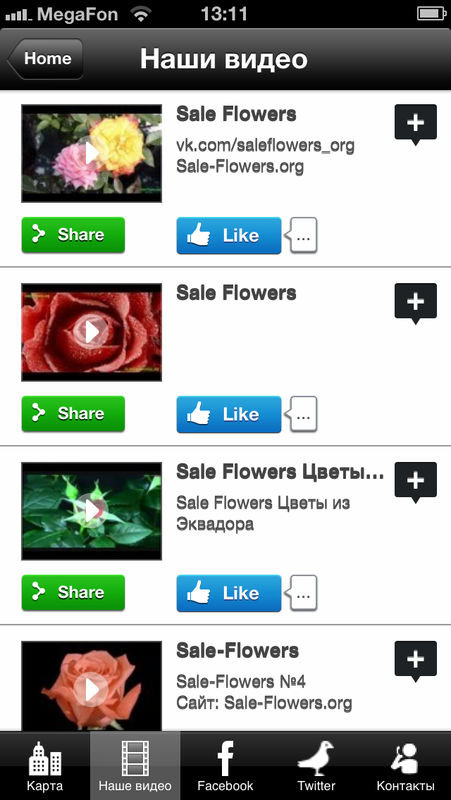 Along with social buttons and media links, the way how they spent time to create mobile commerce app for flower shop touches on everything you need in order to sell your flowers through a mobile app. The commerce pages are clear and concise and they allow people to see the prices before they select a particular arrangement. 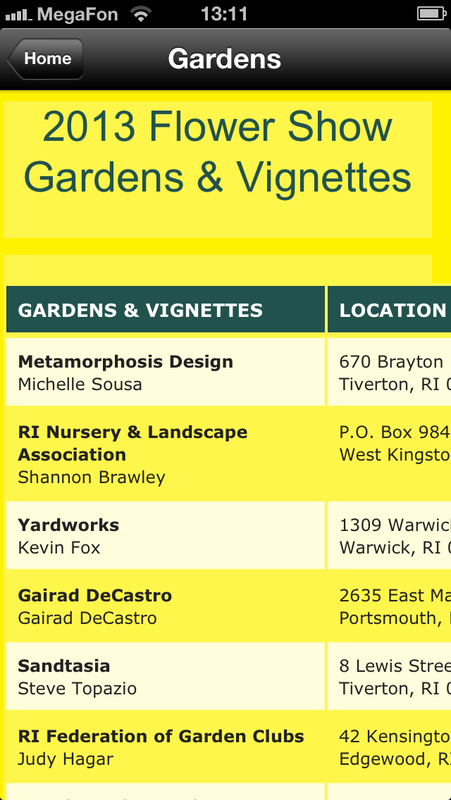 The Rhode Island Flower Show app takes a different approach in terms of how to create mobile commerce app for amazon vendor market. 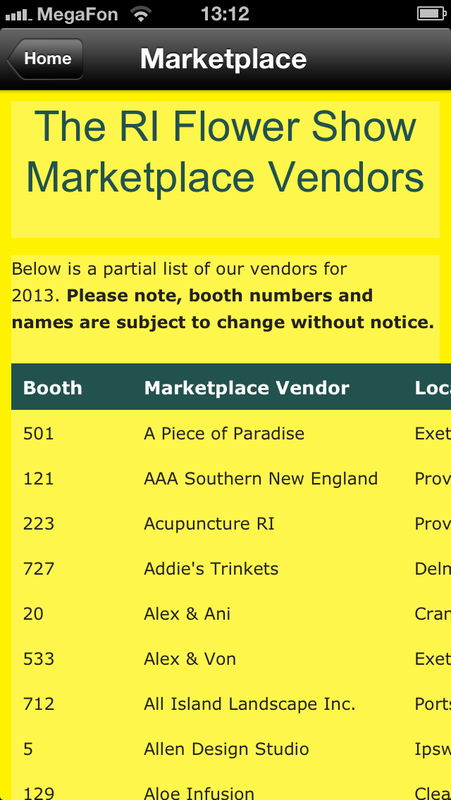 Since the company doesn’t actually sell flowers, they offer a Marketplace link to show customers what sellers and vendors are going to be present at the show. 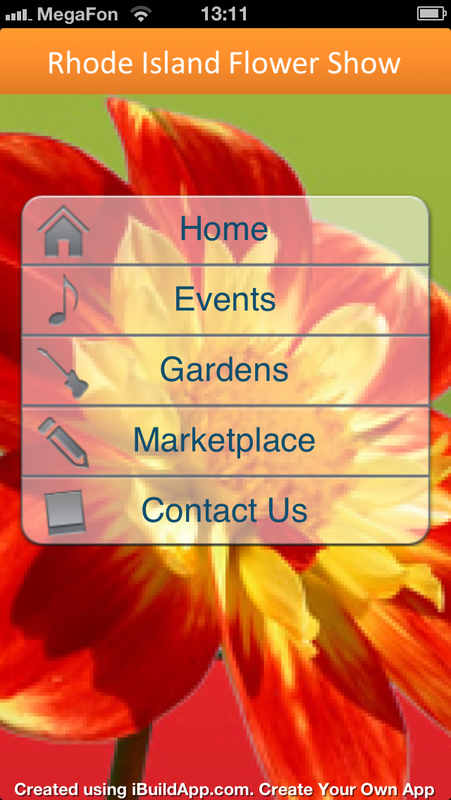 You don’t always have to place a shopping cart in your flower shop commerce mobile app. Sometimes you simply need to display what companies are selling at your show and leave it at that. 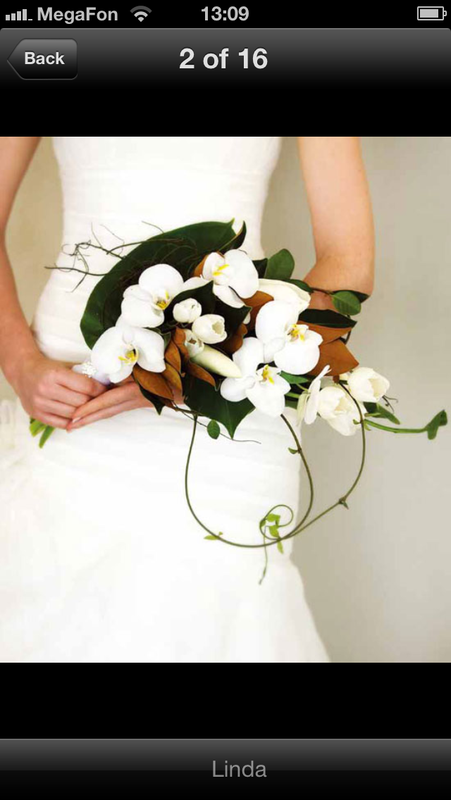 Sharon Raynolds Flowers is all about getting customers and vendors to contact the flower shop for an order. 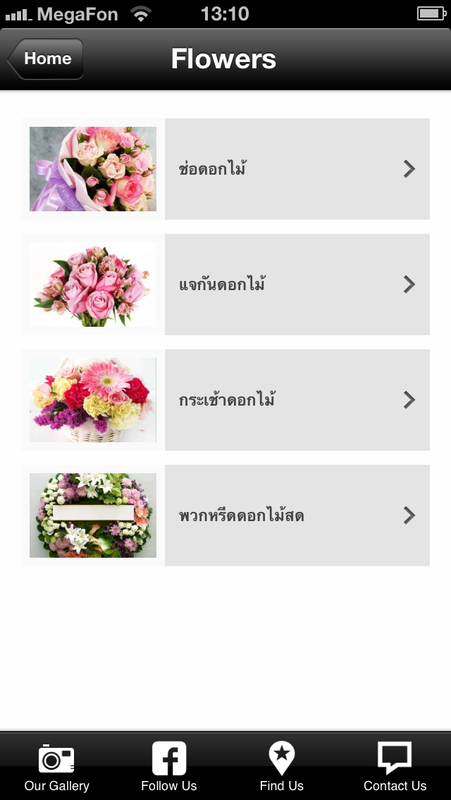 The way they spent time to create mobile commerce app for flower shop includes striking photos of all the arrangements at the store, along with an Email Us and Call Us button right on the homepage. This is a great example of how a flower shop can push more vendors through the doors without including a shopping cart on its mobile app. This created mobile commerce app for a flower shop offers both a catalogue and an e-shop, meaning that customers and Amazon vendors and sellers can learn about the different flowers and what they look like before committing to a purchase. The primary selling point for a flower shop is what the flowers look like, so make sure your mobile app includes a wide selection of photos and maybe even videos on central to provide visuals for people. Since iBuildApp has a shopping cart to sell in your mobile app, it’s easy to make your buttons large and your photos prevalent. Simply install the commerce shopping cart into your mobile app and start inserting your products to sell on amazon seller central. Let us know in the comments section if you have any questions about how to create mobile commerce app and sell on amazon seller central. 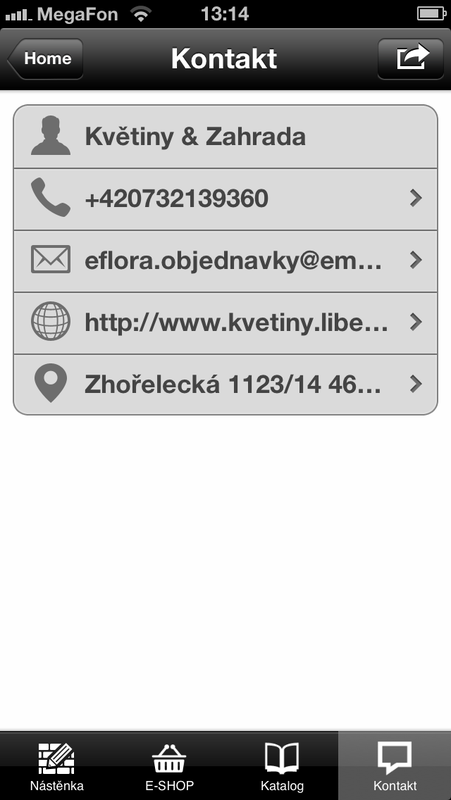 Get started with one of the striking mobile app templates from the iBuildApp website.